I’m not a fan of horror, but the first time I read Frankenstein, it left me, well, horrified, but in pleasant sort of way. It was such a tragedy. I felt such sympathy and revulsion for both Victor and his monster. I was astonished at the monster’s feelings. Who would ever consider his point of view? Yet the way the book played out was just so sad. Frankenstein is considered classic literature, one of the very first works of science fiction. I believe it’s also the oldest book I’ve ever attempted to review. It’s been recreated so often (and probably read so little) in the past century that an original plot summary may be in order, which I’ll provide momentarily. Since I reread it in conjunction with Kenneth Oppel’s The Apprenticeship of Victor Frankenstein new YA series, I’ll also discuss the two works in relation to each other. Victor Frankenstein was a lively teen from a well-to-do family in Geneva, Switzerland. He was self-taught in the sciences with books from old alchemists, which he devoured with a passion. When he left for the university in Ingolstadt, however, he began to understand the superiority of modern science and he applied himself fully. He had a talent for it and soon discovered a way to bring life to non-living matter. So he created a being from bits and pieces of dead people and brought it to life—and was immediately horrified by what he’d done. As a result of his horror, he fell into a months-long madness/illness. Victor finally returned to his family two years later, after word reached him that his youngest brother had been murdered. On wandering the scene of the crime, he caught a glimpse of the monster and knew it was guilty. So he felt enormous responsibility for the murder and for the resulting hanging of the innocent friend accused of the crime. The monster approached Victor sometime later with its tale of woe. It was a lengthy tale, detailing its gradual, unguided learning of its own senses, its own needs, of its learning language, of a yearning for companionship and compassion, and of the horrible mistreatment at the hands of humans. It then gave Victor an ultimatum: make a female companion for it or it would do its utmost to make Victor miserable. In the end, Victor refused, and the monster began killing off Victor’s loved ones. Frankenstein is written in an antiquated style. It’s quite wordy, for one thing. Sentence structure is long and complicated. The tale of the monster’s suffering is a monologue consisting of six entire chapters! The style is also very sentimental, with a good deal of over-dramatic emotion. It also contains more than a little commentary by the author, such as, “How dangerous is the acquirement of knowledge.” It required some skimming on my part. But the story is original, and I had a good handle on several main characters. It’s also appropriate to its time period, cautioning man against going too far with his rapid rise of knowledge during the Industrial Revolution. In fact, it’s a little like stepping back in time, to a Victorian culture and the early days of modern scientific discovery. Most importantly, however, is the way the story resonates in the reader, the way it lingers. I truly couldn’t get over this one the first time I read it. The new YA series by Mr. Oppel, on the other hand, is written in a modern, fast-paced, streamlined style. The way he develops the three main characters and breaths such life into them makes the original all the more tragic. I quickly found the origins for Mr. Oppel’s prequel story ideas. In chapter two of Mary Shelley’s novel, three of the young Victor’s interests are briefly mentioned. These include alchemy, which is the basis for book one; the “raising of ghosts or devils,” mentioned only in that phrase yet comprising the entirety of book two; and electricity, which I predict will be the basis for book three. It’s often how adapted works bring the monster to life, though the original novel is vague on Victor’s means. 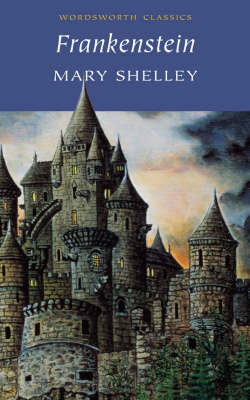 Mr Oppel’s series, however, in contrast to Shelley’s novel, lacks the originality and deep emotion, the shock and sadness, that makes the original so memorable. I think the new series compliments the original very well, though my individual reviews do caution parents and readers on a few elements, especially book two. But I, like always, also think the original is worth reading. Probably more so. Because of the nature of the book and the challenges arising from its antiquity, I’d say this is a high school read. 14+. I would like to read this book! Maybe in a year or two? My Mom loved this book! 😀 Happy Halloween! Actually, Erik, I don’t think Frankenstein has any content you couldn’t handle. It’s not graphic or gory. It’s tragic, more than anything. It is a bit of a tough read, though. It’s also free on Kindle, and the Kindle dictionary is very handy. 🙂 But this would be your mom’s call, of course. I’d actually be more leery of the new series than the original.